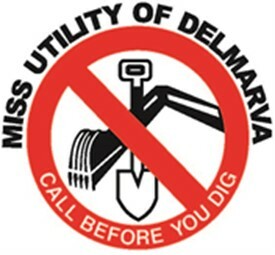 Explore damage prevention information, local contacts and rules for safe digging in Delaware. To educate members of the public, contractors, utilities, locators and other persons and/or entities who would be involved in planned or emergency excavation or emergency demolition activities regarding the legal requirements and mechanics of underground facility identification. To promote public safety by providing education regarding underground facility location and identification, encouraging membership and full participation of underground facility owners and operators in the Corporation. To serve the public and its members by seeking methods to prevent the interruption of utility and other services, and injury or damage associated with the lack of identification of underground facilities.